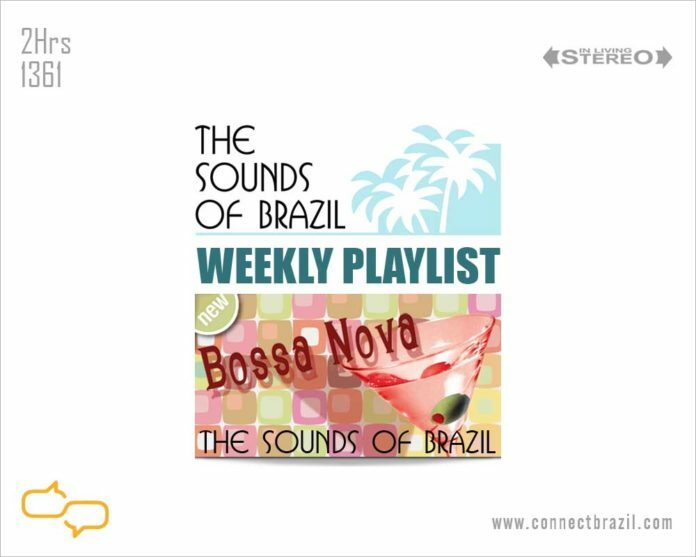 ‘The New Bossa Nova’ airs daily on our streaming Station from 06-27-18 through 07-03-18 Monday-Friday at 7 am, 3 pm, 6 pm and midnight Central Time (US). Weekends, too. On The Radio: Listen to The Sounds of Brazil every Sunday, 2-4 pm on Chicago’s 909. FM WDCB, and Sundays at 7 pm and Wednesdays at 5 pm on Brasil Radio, 93.1 FM + 810 AM in Orlando FL. Click here for a complete list of our affiliate stations. She’s The Girl From Ipanema’s daughter & she’s tired of just singing her mother’s old tunes. Now she’s into the latest styles from Milan! This week the New Bossa sound pluses our playlist. How did this happen? The story is in the music! It’s Bossa Nova’s 60th Birthday! Read all about it with our Bossa 60 StoryStream.